Join or Start a 4-H Club in Your Neighborhood or School! If you live in Lancaster County, Nebraska and are interested in 4-H, complete this On-line Interest Form. 4-H poultry, dogs, cats and household pets do not require an identification form, however Lancaster County Super Fair entries must be received at the extension office by July 1. 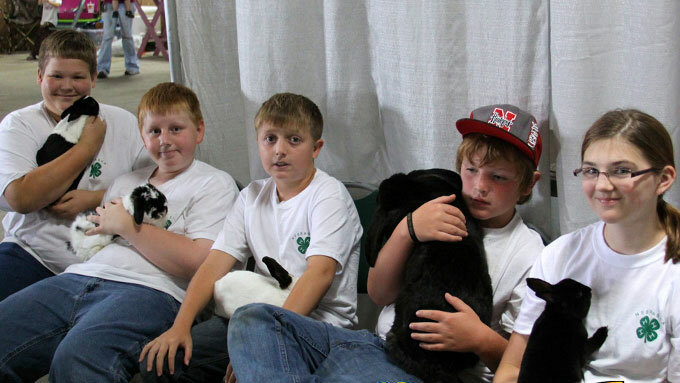 Basic 4-H rabbit care and showmanship resources Learn how to choose a rabbit, about breeds, handling, and showing.